From I Love Lucy to Blackish, sitcoms have often paved the way for social change. Television comedy has long been on the frontline in how America evolves on social issues. There is something about comedy that makes difficult issues more palatable—with humor an effective device for presenting ideas that lead to social change. From I Love Lucy, which introduced the first television pregnancy, to Will & Grace normalizing gay characters, the situation comedy has challenged the public to revisit social mores and reshape how we think about the world in which we live. In Sitcommentary: Television Comedies that Changed America, Mark A. Robinson looks at more than three dozen programs that have tackled social issues, from the 1940s to the present. The author examines shows that frequently addressed hot button topics throughout their runs—such as All in the Family, Maude, and Blackish—as well as programs with special episodes that grappled with a societal concern like ageism, class, gender, race, or sexual orientation. Among the important sitcoms discussed in this volume are such beloved shows as The Brady Bunch, A Different World, The Facts of Life, The Golden Girls, Good Times, The Jeffersons, The Mary Tyler Moore Show, M*A*S*H, Modern Family, Murphy Brown, One Day at a Time, Roseanne, and Soap. Each has broken down barriers and facilitated discussion, debate, and social evolution in America. Arranged in chronological order, these TV shows have influenced the masses, by tackling tough topics or by shining a spotlight on taboo subjects. With discussions of some of the most popular shows of all time, Sitcommentary will appeal to fans of these shows as well as anyone interested in the cultural history of America and American television. 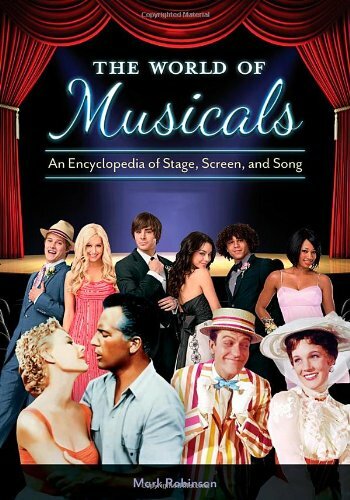 Written with high school students in mind, The World of Musicals: An Encyclopedia of Stage, Screen, and Song encompasses not only Broadway and film musicals, but also made-for-television musicals, a genre that has been largely ignored. The two volumes cover significant musicals in easily accessible entries that offer both useful information and fun facts. Each entry lists the work's writers, composers, directors, choreographers, and cast, and includes a song list, a synopsis, and descriptions of the original production and important revivals or remakes. Biographical entries share the stories of some of the brightest and most celebrated talents in the business. The encyclopedia will undoubtedly ignite and feed student interest in musical theatre. At the same time, it will prove a wonderful resource for teachers or community theatre directors charged with selecting and producing shows. In fact, anyone interested in theatre, film, television, or music will be fascinated by the work's tantalizing bits of historical and theatre trivia. 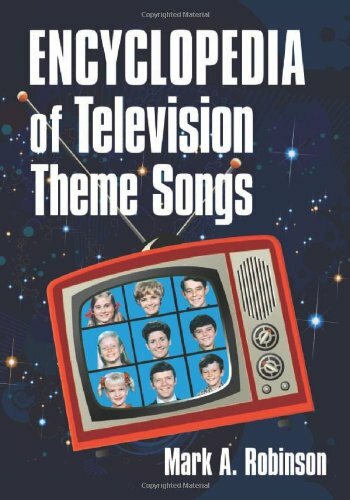 The first book on this topic, featuring 1,000 detailed entries, this encylopedia examines the phenomenon of television theme songs. Organized alphabetically by TV series from The A-Team to Zorro, the individual themes are designated by title, composer, lyricist and performer, with an analysis of how the theme captured the show's spirit. Each entry also includes the series' cast credits, its network, the years of its original run, and an in-depth program description. Fascinating facts and anecdotes about each theme song are included, along with an assessment of its popularity, and (whenever appropriate) a list of industry awards that the song has won. Devotees of the captivating and oftimes unforgettable themes for such series as The Brady Bunch, Gilligan's Island, The Mary Tyler Moore Show, Rawhide and Scooby-Doo have a genuine treat in store. Songs written for Disney productions over the decades have become a potent part of American popular culture. Since most Americans first discovered these songs in their youth, they hold a special place in one's consciousness. The Disney Song Encyclopedia describes and discusses hundreds of famous and not-so-famous songs from Disney films, television, Broadway, and theme parks from the 1930s to the present day. Over 900 songs are given individual entries and presented in alphabetical order. The songwriters and original singers are identified, as well as the source of the song and other venues in which it might have been used over the years. Notable recordings of the song are also listed. But most important, the song is described and what makes it memorable is discussed. This is not a reference list but a true encyclopedia of Disney songs. 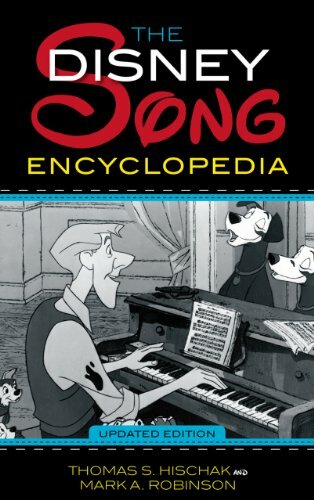 The book also contains a preface describing the criteria for selecting the songs, a glossary of song terms, a list of all the Disney songs and their sources, a songwriter's directory in which every song by each composer/lyricist is listed, a bibliography, a guide to recordings and DVDs of Disney productions, and an index of people and titles.